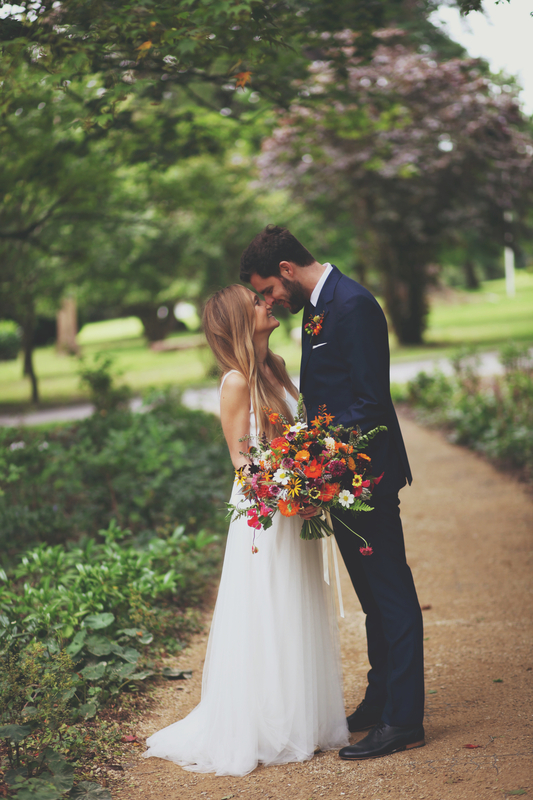 For natural, wild wedding flowers for your wedding in Devon, Cornwall, Dorset, Somerset or the South East, contact The Flowerfield. 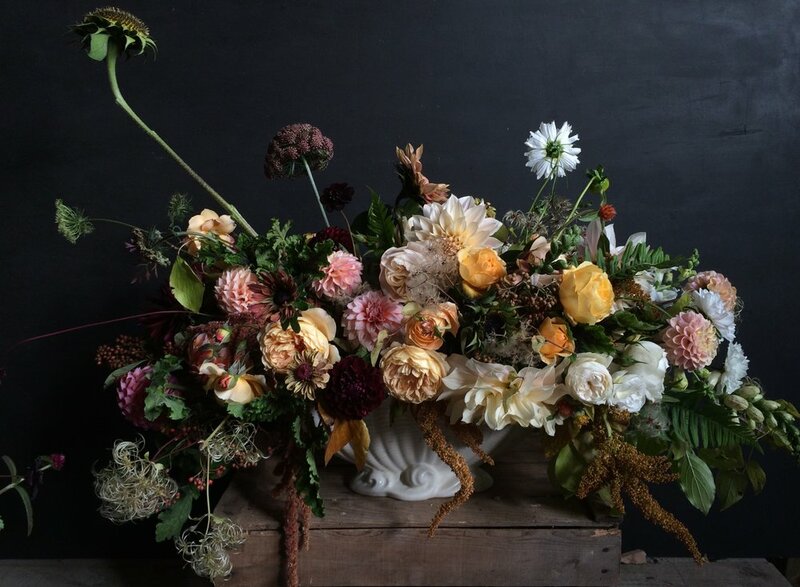 We create unique, natural wedding flowers from our fields in Devon. 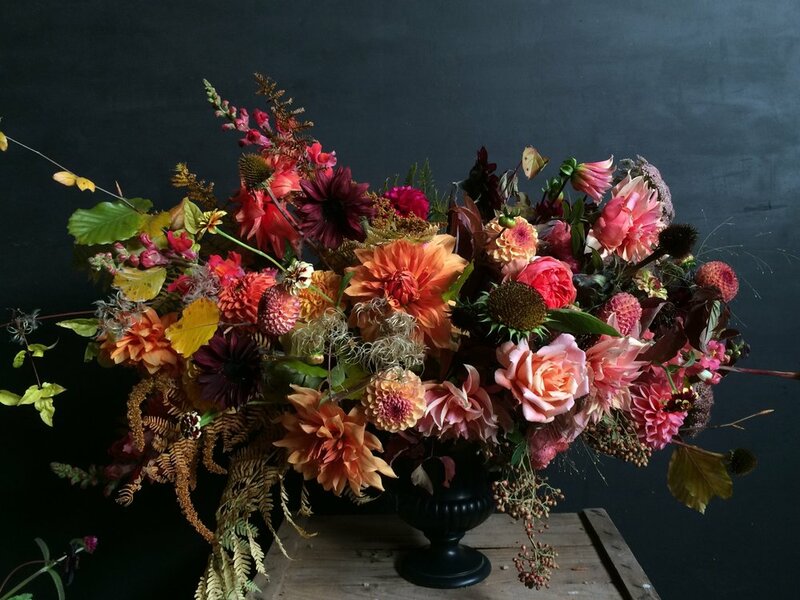 The Flowerfield is not like your usual florists. 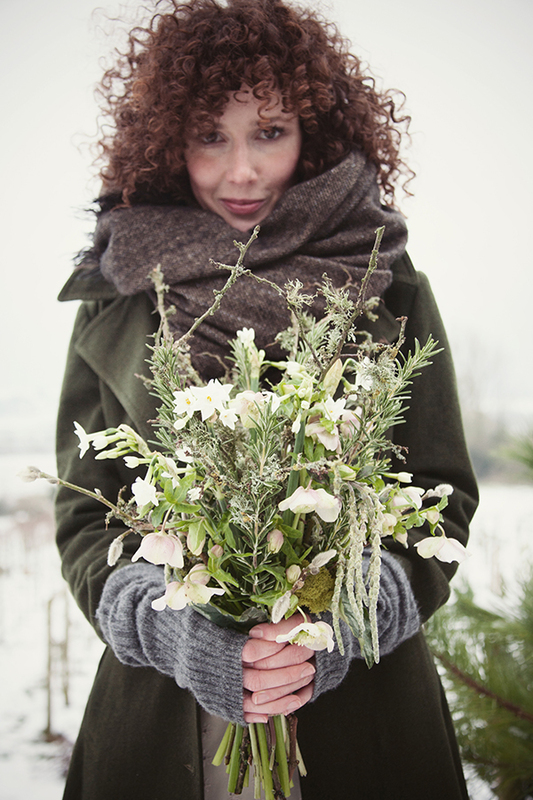 Based right on the farm in Devon our design style is very natural, slightly wild and romantic - just like our flowers. 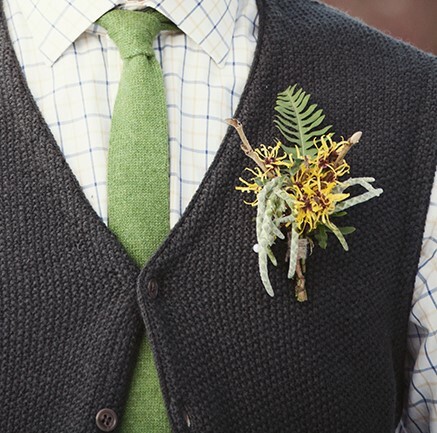 As well as flowers, we love using herbs, grasses and berries and love to forage for unusual blooms and foliages that will make your wedding florals stand out in their uniqueness and individuality. 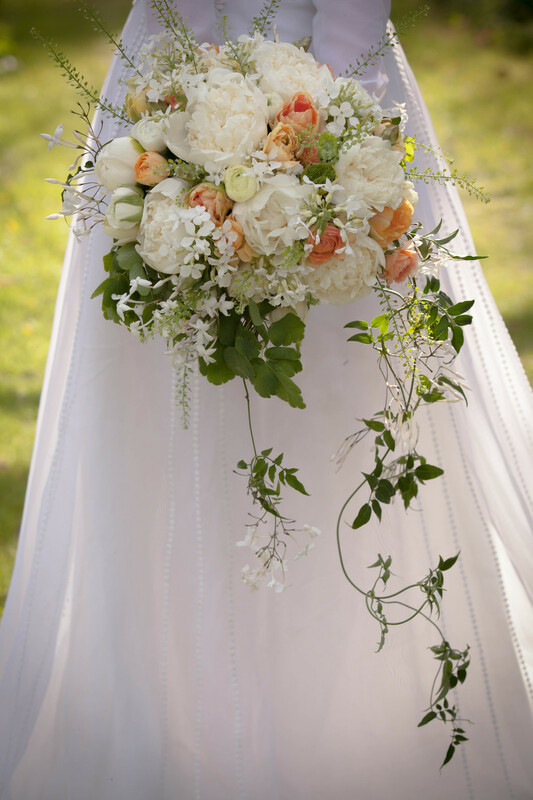 We will do everything to ensure that the floral arrangements we provide reflect you and your partner's personalities and your vision for your wedding day. 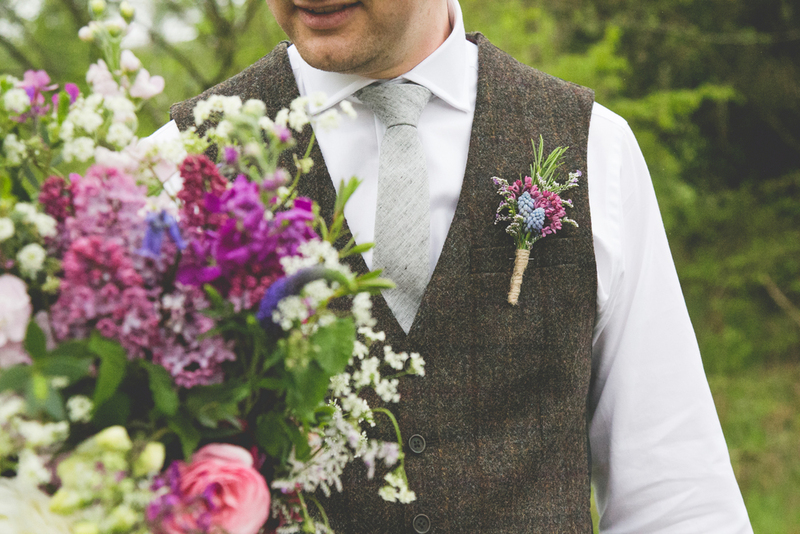 Your wedding is unique and as a bespoke client we will give you the very best service and attention and provide flowers for every part of your wedding. The journey starts with an individual consultation during which we will explore the possibilities to create the most suitable combination of flowers, foliage, colours, textures and scent for you. 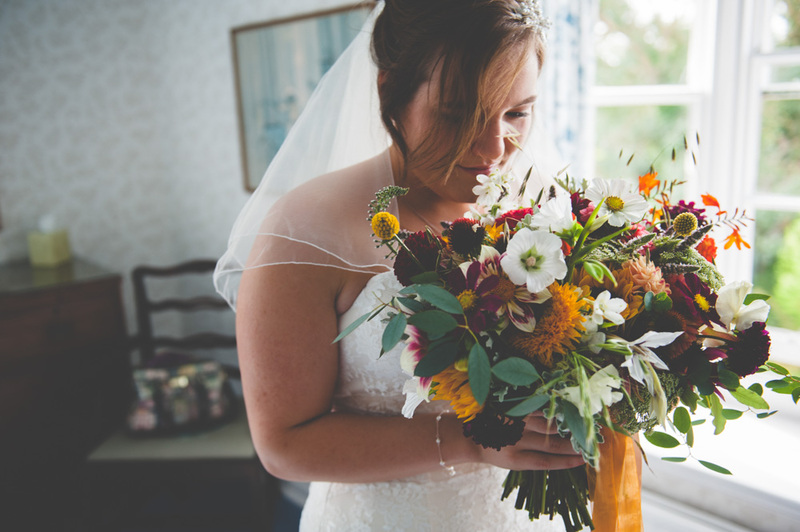 We will discuss how we can provide flowers for every part of your wedding day including church or ceremony flowers, bridal bouquet, bridesmaid's bouquets, reception flowers, cake flowers and anything in between. 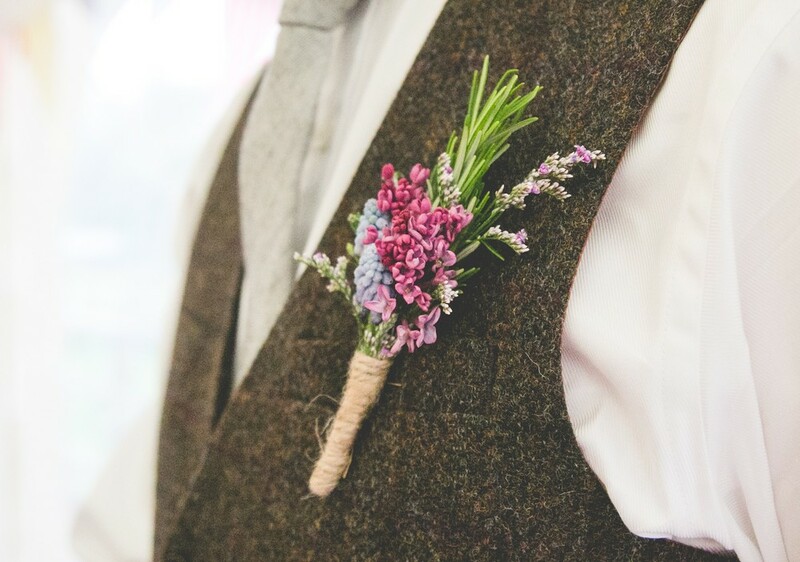 A week or two before your wedding we love to arrange an appointment for you to come to the field for a final meeting when we can walk together through The Flowerfield selecting flowers and colours for your bouquets and buttonholes. We will continue to work in partnership with you up to and including your special day and you can rest assured we will arrange and do everything that needs to be done. 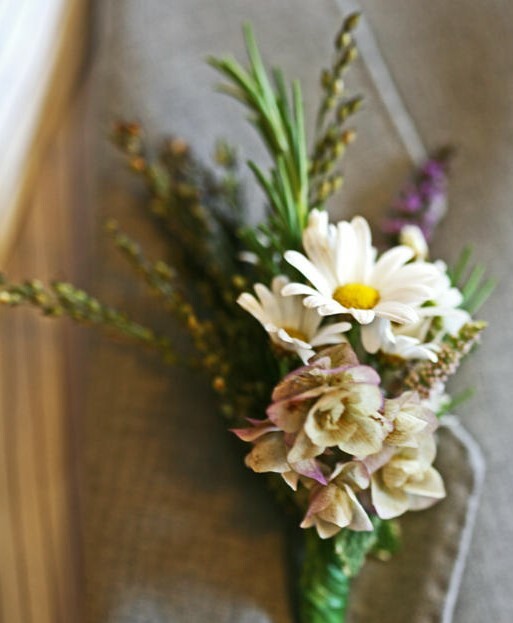 In the semi-bespoke package we design and create your wedding bouquets, buttonholes, ladies corsages etc. and then just before your wedding you come to the Flowerfield to collect buckets of flowers for you to arrange yourselves for the wedding ceremony and party afterwards. We will work closely with you so you are confident with the DIY element. Whichever package is right for you, we recommend that all our brides come to the field at least once for a consultation with you, your partner, a family member or friend. 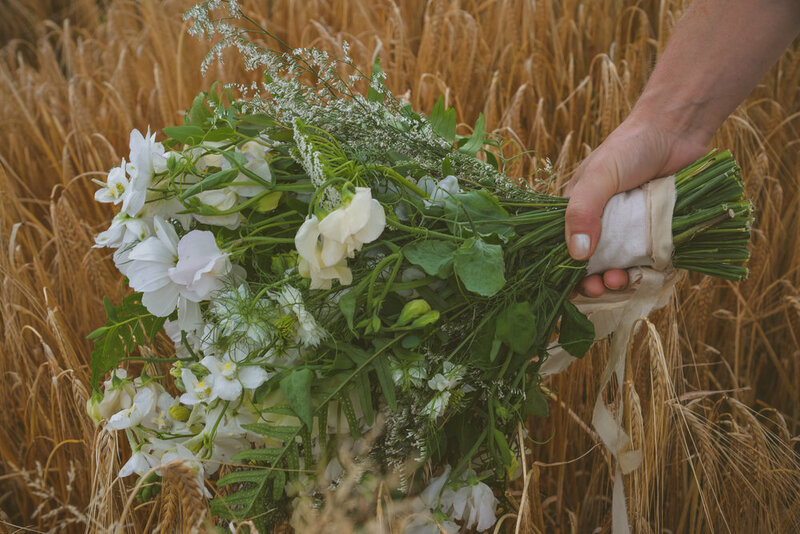 By doing this you can see our selection of our natural, wild flowers growing fresh in the fields and we can meet you, get to know you and discuss all your wedding flower ideas and requirements. But be warned! This a farm and mud is often a part of a visit to us - make sure you wear your jeans and wellies!